Internationale Aufmerksamkeit auf Prozess gegen die prominente Bloggerin "Mutterpilz"
On the one year anniversary of the arrest of human rights lawyer Nguyễn Văn Đài, who has been held incommunicado in pre-trial detention since 16 December 2015, Viet Nam’s authorities have sentenced two pro-democracy activists - Trần Anh Kim and Lê Thanh Tùng - to 13 and 12 years’ imprisonment respectively. Viet Nam’s harsh treatment of peaceful activists, including intense surveillance, harassment, restrictions on movement, physical assaults, arrests and imprisonment, with torture and other illtreatment continues unabated and must end now. As a signatory to the International Covenant on Civil and Political Rights (ICCPR) and the Convention Against Torture (CAT), Viet Nam has obligations to uphold a range of human rights, which it is manifestly failing to do. The 16 December marks one year since Nguyễn Văn Đài was arrested on his way to meet with European Union (EU) officials who were in Hà Nội for the EU-Viet Nam human rights dialogue that took place a day earlier. He is being held in incommunicado detention on charges of “conducting propaganda” against the state under Article 88 of the 1999 Penal Code. He has not been given access to a lawyer or to his family. He founded the dissident Committee for Human Rights in Viet Nam in 2006 – now called the Vietnam Human Rights Centre – and was one of the original signatories to Bloc 8406, an online pro-democracy petition. He is the co-founder of the Brotherhood for Democracy Association (Hội Anh Em Dân Chủ), an online discussion group that calls for democracy. He was originally detained at B14 prison in Hà Nội, but it is possible that he has been moved to another detention centre without anyone being informed. Nguyễn Văn Đài is a former prisoner of conscience, previously held from March 2007 to 2011 after holding workshops and seminars on human rights law for university students. If tried and convicted, he faces a possible prison sentence of between three and 20 years. Trần Anh Kim and Lê Thanh Tùng were tried by a court in the northern province of Thái Bình. Both were convicted for activities aimed at “overthrowing” the state under Article 79 of the 1999 Penal Code. The two men are former prisoners of conscience released in 2015 and re-arrested later the same year in connection with plans to launch a new pro-democracy group named “Raising the flag of democracy” (Lực Lượng Quốc Dân Dựng Cờ Dân Chủ). Other activists are reported to have been prevented from trying to attend the trial, with police stationed outside their homes to stop them from leaving. Amnesty International calls for the immediate and unconditional release of these three activists, held solely for peacefully exercising their right to freedom of expression and association, and for the release of all other prisoners of conscience in Viet Nam. They are at risk of torture and other illtreatment. 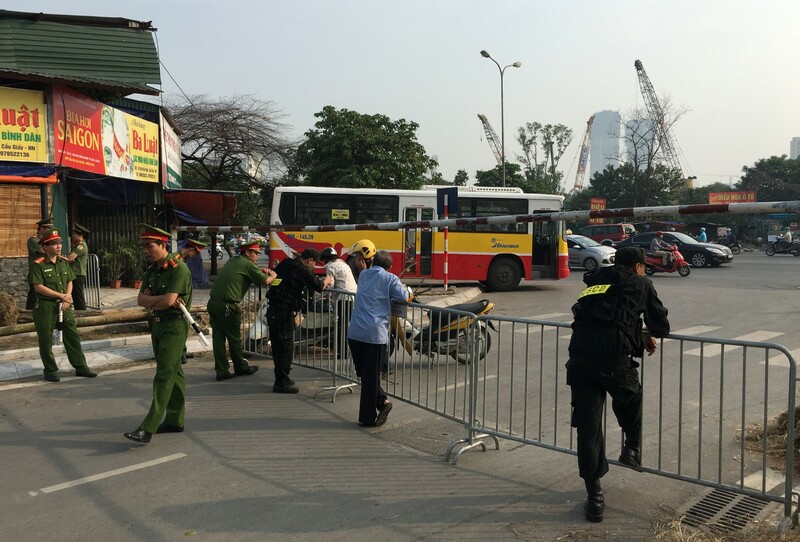 Viet Nam frequently uses provisions of the national security section of the 1999 Penal Code – such as Articles 88 and 79, to imprison peaceful activists. In July 2016, Amnesty International published a report, Prisons Within Prisons: Torture and illtreatment of prisoners of conscience in Viet Nam, which documents the treatment of prisoners of conscience in violation of Viet Nam’s international human rights obligations, including the prohibition of torture, see: https://www.amnesty.org/en/documents/asa41/4187/2016/en/. Like other prisoners of conscience, Nguyễn Văn Đài, Trần Anh Kim and Lê Thanh Tùng are at risk of torture and other ill-treatment, including enforced disappearances; prolonged periods of incommunicado detention and solitary confinement; the infliction of severe physical pain and suffering; the withholding of medical treatment; and punitive prison transfers. Amnesty International continues to receive reports of torture and other ill-treatment of prisoners of conscience, including most recently that of Mennonite Pastor Nguyễn Công Chính, serving an 11year sentence who has recently been transferred to a different prison far from his home, without informing his family; Nguyễn Đình Ngọc also known as blogger Nguyễn Ngọc Già, who is being harshly punished for his complaints about prison conditions and behaviour of prison staff. Die SPD-Bundestagsfraktion ist über die Haftbedingungen der Bloggerin Nguyen Ngoc Nhu Quynh äußerst besorgt. Sie erhält kein Besuchsrecht für ihre zwei minderjährigen Kinder und andere Familienmitglieder. Eine Rechtsbeihilfe wird ihr verweigert. Nguyen Ngoc Nhu Quynh hat kein Verbrechen begangen, sondern nur von ihrem Recht auf Meinungsfreiheit Gebrauch gemacht. Wir fordern die sofortige Freilassung von Nguyen Ngoc Nhu Quynh. Außenminister Frank-Walter Steinmeier und die Beauftragte der Bundesregierung für Menschenrechte, Dr. Bärbel Kofler, setzen sich ebenfalls für sie ein. 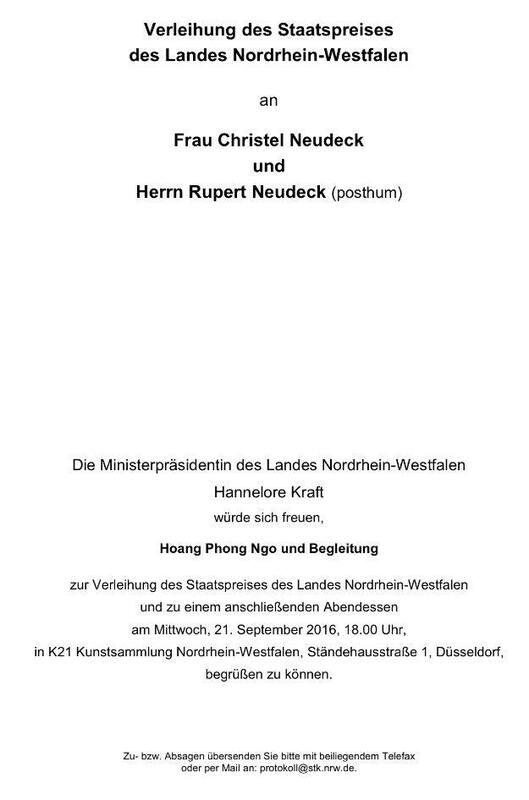 Außerdem wurde Nguyen Ngoc Nhu Quynh in das Programm „Parlamentarier schützen Parlamentarier“ übernommen. It seems clear from Vietnam’s recent actions that the rulers in Hanoi did not believe they had to pay attention to Mr. Obama’s advice. On Oct 7, they declared that the California-based pro-democracy group Viet Tan, or the Vietnam Reform Party, is a terrorist organization and warned of severe penalties for anyone who contacted it. The group, which describes itself as a “pro-democracy organization working to promote social justice and human rights through nonviolent means,” said this was the first time it has been formally designated as terrorist under Vietnam’s laws. Three of the group’s members are serving long prison terms for their blogging and community organizing. On Oct. 10, police in the south-central province of Khanh Hoa arrested a popular blogger, Nguyen Ngoc Nhu Quynh, 37, who writes under the pen name Mother Mushroom. She is co-founder of a network of independent bloggers who often find themselves in the crosshairs of a regime that strictly controls the news media and does not tolerate dissent.